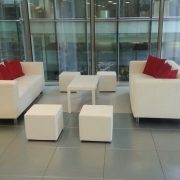 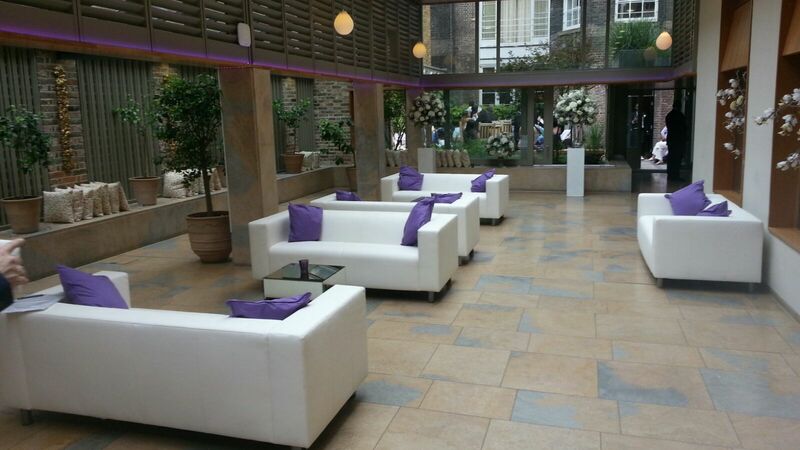 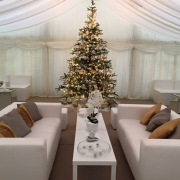 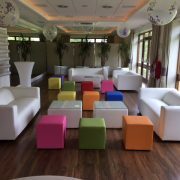 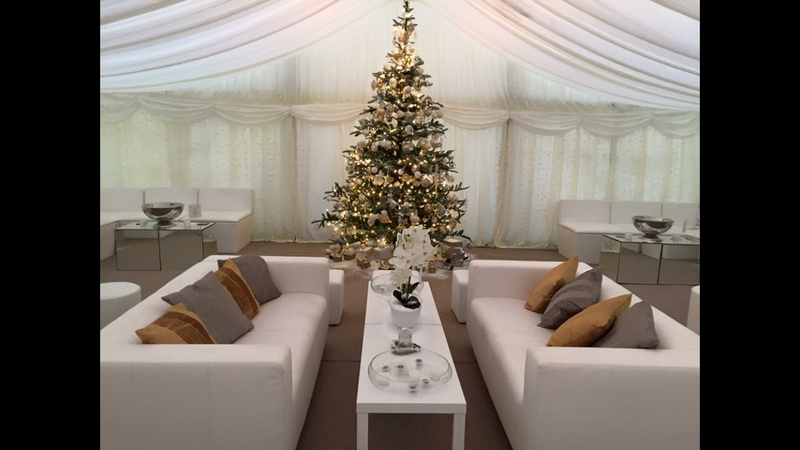 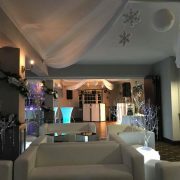 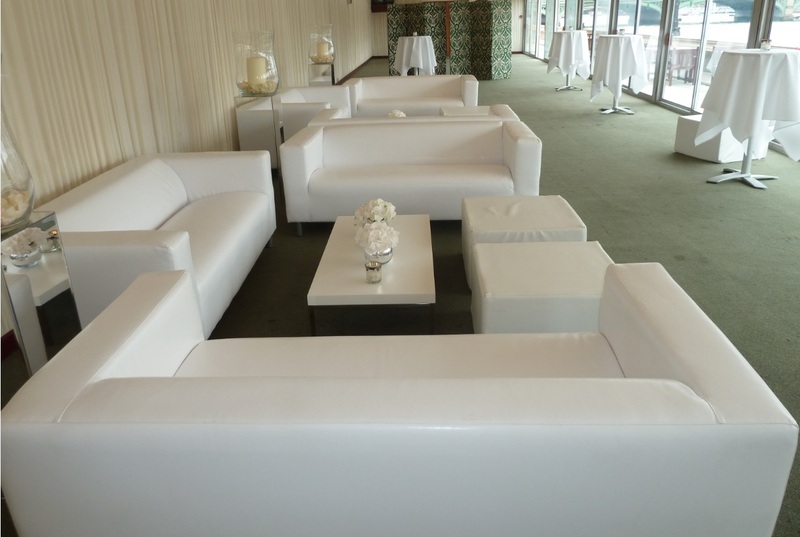 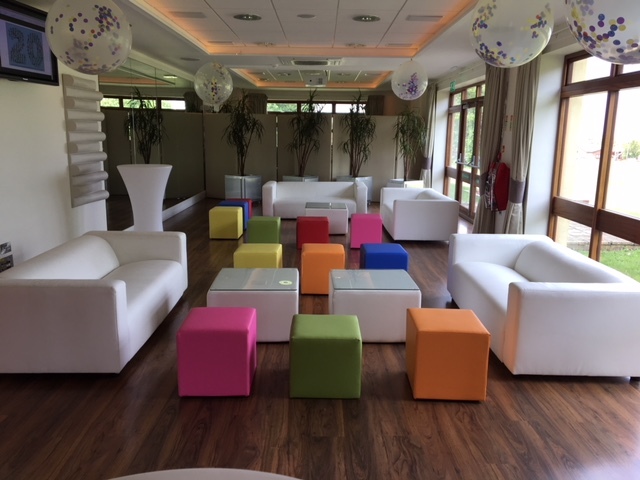 The Club Lounge Sofa, in white faux leather, is one of our most versatile furniture hire pieces. 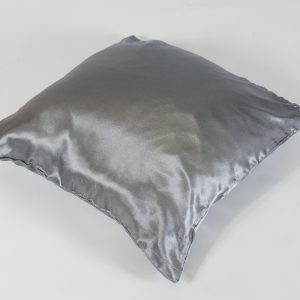 For those who need a bit more ‘bling’ -it’s also available in silver or gold too! 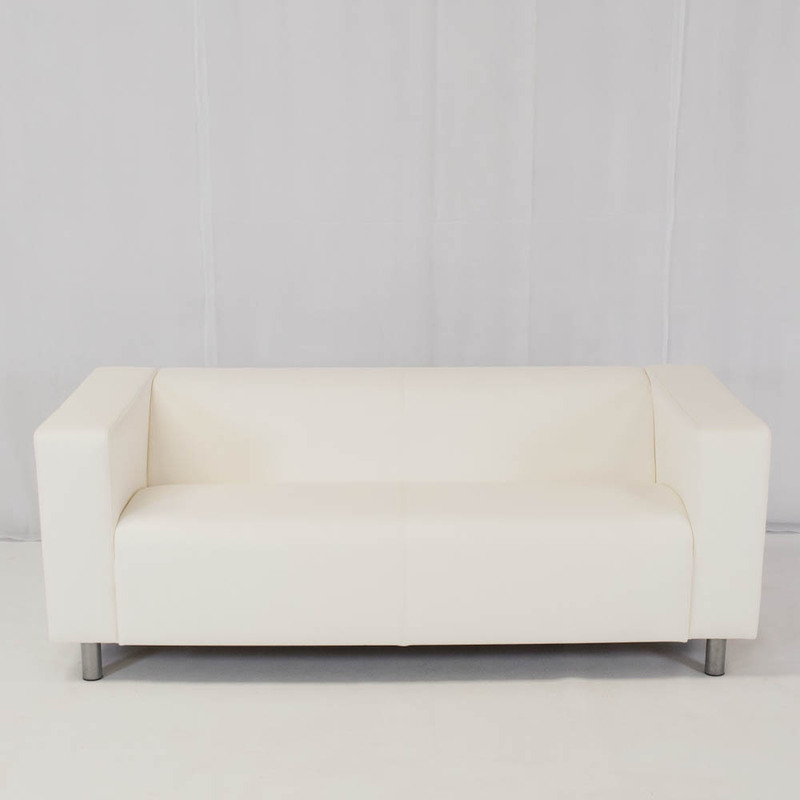 With a smart white cubic look this sofa is really popular for conferences and events and it provides comfortable yet sophisticated seating for clients or delegates. 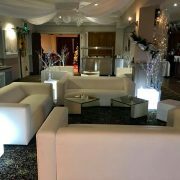 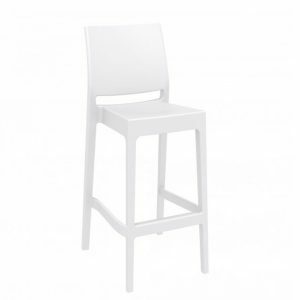 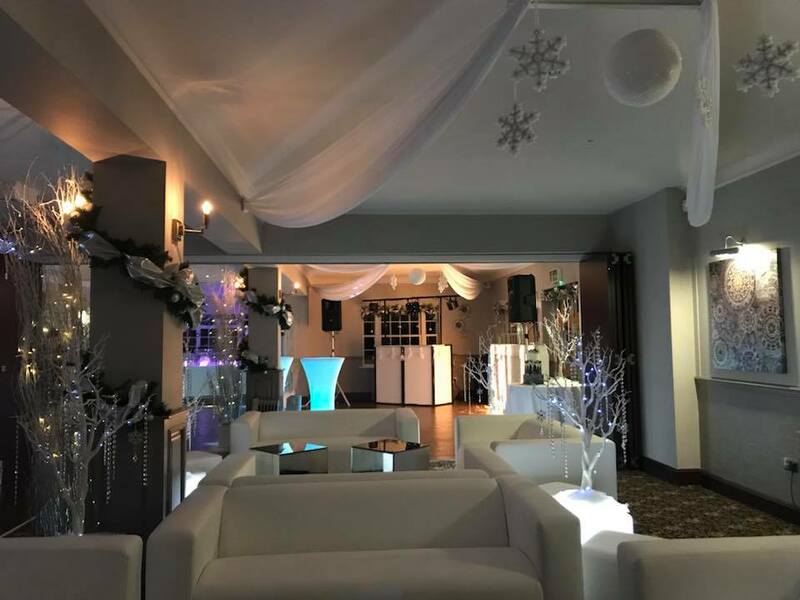 Dress it up for a wedding party or give it a more relaxed feel for a bar or chill out area – the White Lounge Sofa is a great product to use anywhere and everywhere. The Club White Lounge Sofa can fit in with any theme and has worked really well in VIP lounges at sporting events when dressed with cushions in the colour of the team or brand. 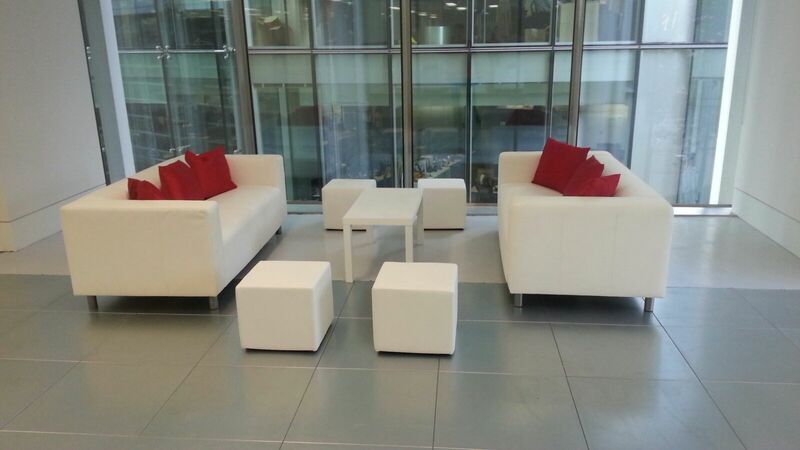 Many of our clients combine it with the matching white faux leather Ana Mandara range for a truly unique sofa set-up. 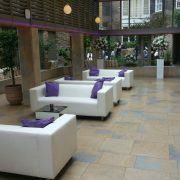 Try placing club sofas facing each other to create a welcoming and sociable chill out area. 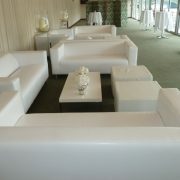 Add some club ottomans or club poufs to create additional seating. 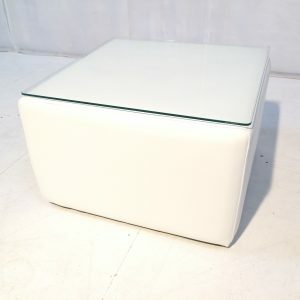 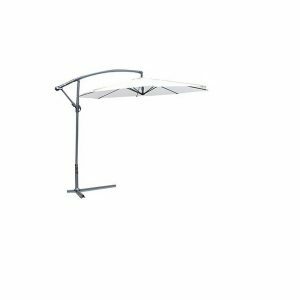 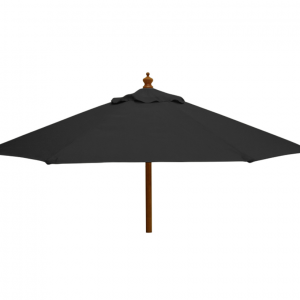 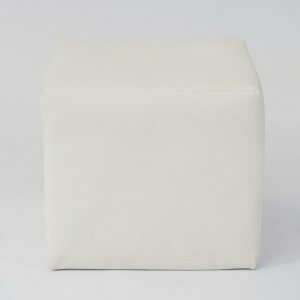 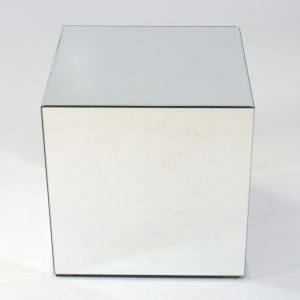 They can be teamed with most of our tables, such as the faux leather Cabo tables, or our ever-popular mirror cubes. 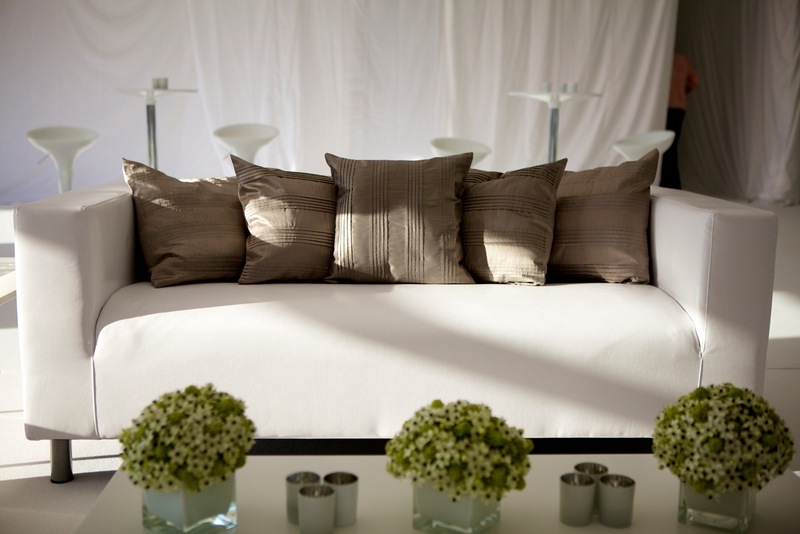 Don’t forget to add some giant Silver Champagne Bowls to keep the bubbly nice and chilled! 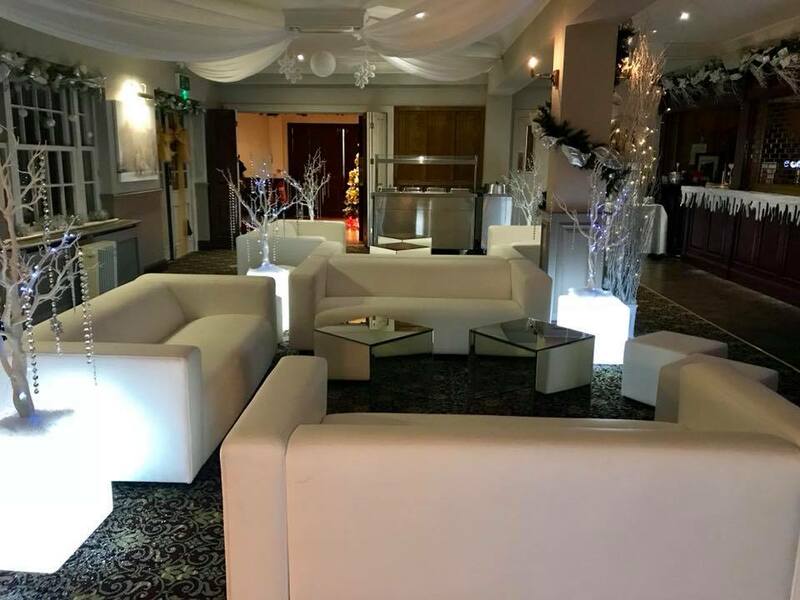 Our White Club Lounge Sofas are amongst our most popular items so don’t delay – add them to your quote today before they sell out!